http://localhost:46947/token with Post verb, username, password and grant_type as password. Browse other questions tagged c# asp.net authentication jwt asp.net-identity-2 or ask your own question. 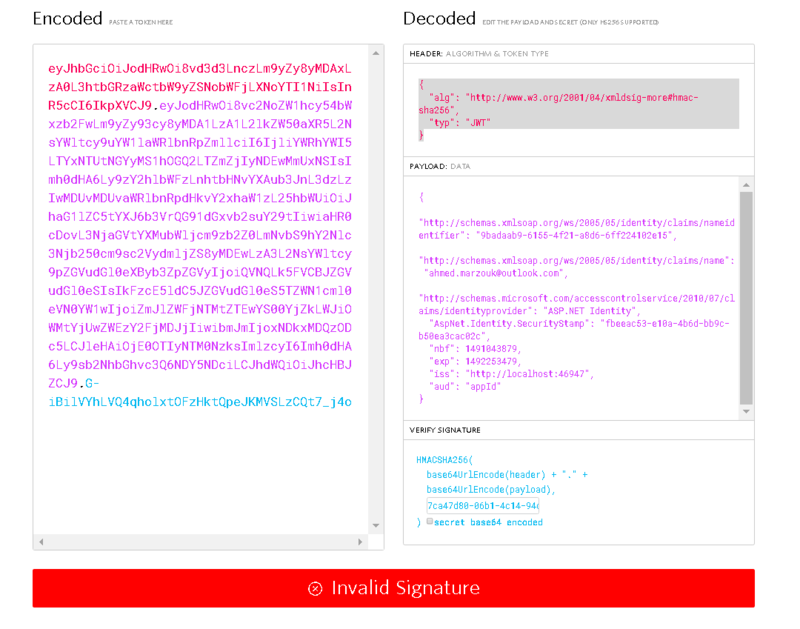 Always get “Authorization has been denied for this request.” using Bearer tokens in Identity 2?